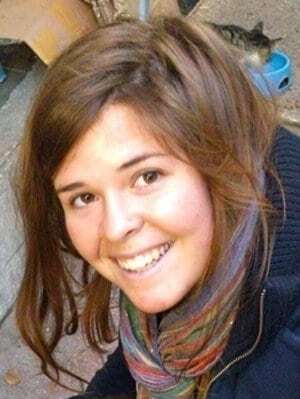 Kayla Mueller had a history of making sacrifices to help those in need. By the age of 26, she had worked with a long list of service organizations and traveled around the world volunteering and spreading awareness of injustice and suffering. In college, a friend told USA Today, Mueller once went outside in a snowstorm to demonstrate with signs in order to raise awareness of the genocide in Darfur. Tragically, Mueller made the ultimate sacrifice while working with refugees in war-torn Syria. On Tuesday, Feb. 10, Mueller’s family received confirmation of her death after a period of captivity by ISIS that began in Aug. 2013. On Aug. 3, 2013, Mueller left Turkey where she had been living since December of 2012 for a Doctors Without Borders hospital in Aleppo, Syria, a city about 70 miles from the border of Turkey. She was accompanying her boyfriend, a Syrian photographer who was headed to the hospital to fix the Internet there. The next day, on the way to catch a bus back to Turkey, the pair was capture by ISIS militants.. Mueller’s boyfriend was eventually released, but Mueller remained in captivity. ISIS then contacted her family, according to CNN, with proof that she was alive and threatened to kill her unless they received almost $7 million. While U.S. foreign policy prohibits paying ransom to terrorists, several attempts were reportedly made to secure her release. “We devoted enormous resources, always devote enormous resources to freeing captives or hostages anywhere in the world. And I deployed an entire operation — at significant risk — to rescue not only her but the other individuals who had been held,” President Obama told Buzzfeed News. The president has also ordered a review of the government’s policies on hostage negotiations. Several other rescue attempts were made, including one by Mueller’s boyfriend. All attempts tragically proved fruitless. ISIS claimed that Mueller was killed in a Jordanian airstrike, although U.S. officials continue to hold ISIS responsible for her death. Jordan is a member of the U.S.-led coalition against ISIS. Although Mueller’s story is tragic, it also presents strong elements of hope, strength and faith. Mueller remained positive and kept her faith in God, in herself, and in humanity during her time in captivity. “I have been shown in darkness, light and have learned that even in prison, one can be free. I am grateful. I have come to see that there is good in every situation, sometimes we just have to look for it,” Mueller wrote in a letter home to her family from her imprisonment..
GANAHL ON MEDIA: Hype In Hyper Local?